TreeKings provide a complete range of tree services in West Lancashire, Sefton and Merseyside areas for both residential and commercial customers. All our tree surgeons work to the guidelines set out in the British Standard 3998 Recommendations for Tree Work. This ensures your trees remain healthy and add vitality to your garden and continue to enrich the surrounding area. Tree removal is necessary when a tree has become hazardous due to death or disease. This can be a simple operation if the tree is small and located within a clear area. Large trees situated close to buildings, immovable objects or telephone lines often require dismantling using ropes and other lowering equipment. TreeKings are properly equipped and certified to remove hazardous trees safely and efficiently. Also referred to as tree topping, tree trimming or tree shaping, crown reduction involves the removal of branches from the outermost parts of the crown back to a lateral bud or stem. 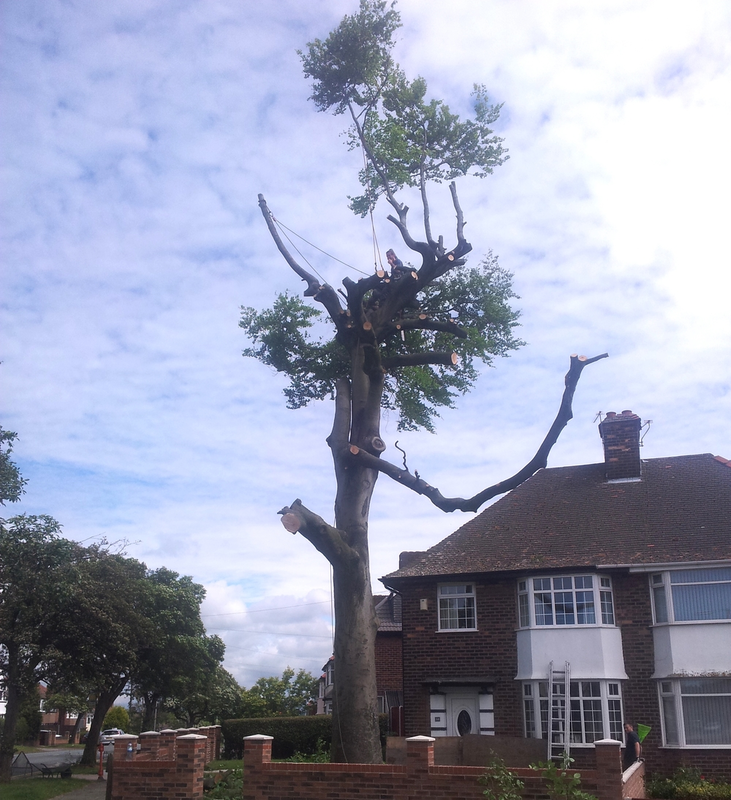 When performed correctly, crown reduction can increase light penetration and reduce the chance of tree/limb failure, whilst leaving a natural tree form. We make sure we meet our customers expectations without detriment to tree look or health, through careful selection of foliage to be removed, resulting in a natural looking tree structure. Removal of potentially hazardous branches can be completed either individual or on a whole tree and is referred to as crown cleaning. In areas frequented by the public removal of hazardous branches is essential. TreeKings regularly undertakes tree work where pedestrians and other traffic need diverting and deploy traffic management when required. Also referred to as tree cutting, tree chopping and tree lopping, effective pruning enables the tree to heal easily. This in turn reduces the chance of rot and decay which can lead to the tree becoming dangerous. All our tree surgery is carried out to BS 3998 enabling us to meet our customers expectations without damaging tree health. A correctly thinned tree can help improve light penetration and reduce wind resistance through the tree crown. However poorly thinned trees can often produce fast growing foliage, as part of a stress response, that can lead to a potentially hazardous tree. Knowing the right amount of foliage to remove depends on tree age and species. TreeKings evaluate each tree to provide you with the best care to ensure no unwanted side effects. Removal of the lower branches of a tree can help improve light penetration or just stop you bumping your head when mowing the lawn.